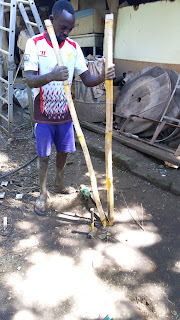 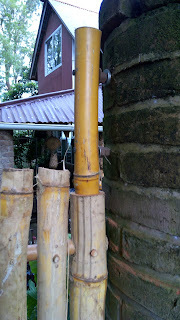 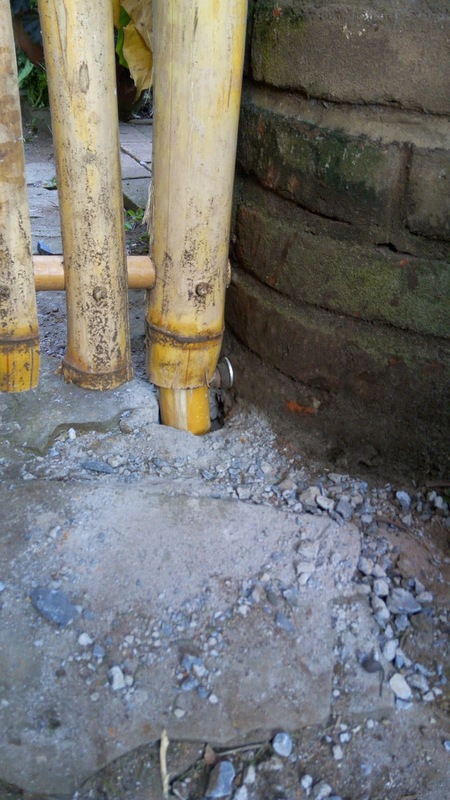 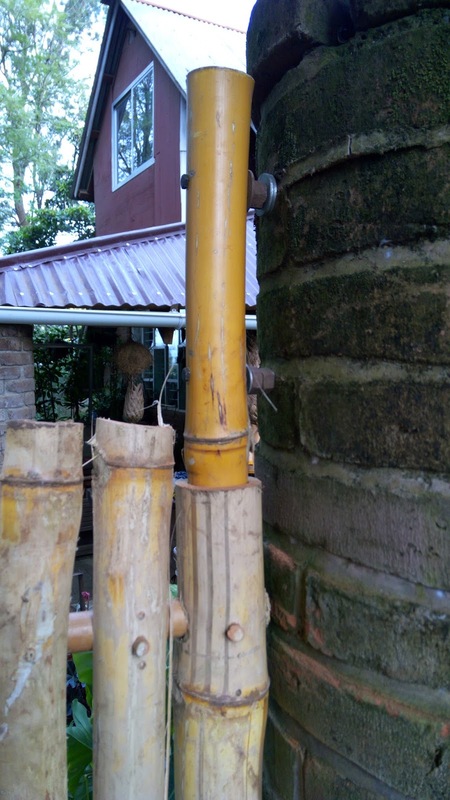 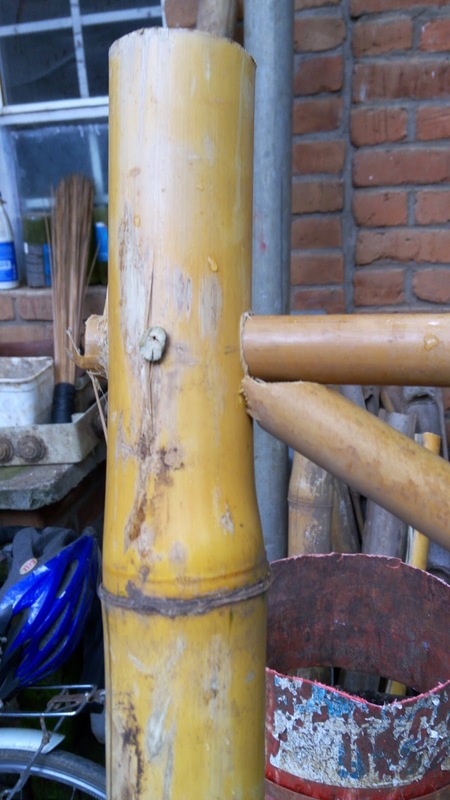 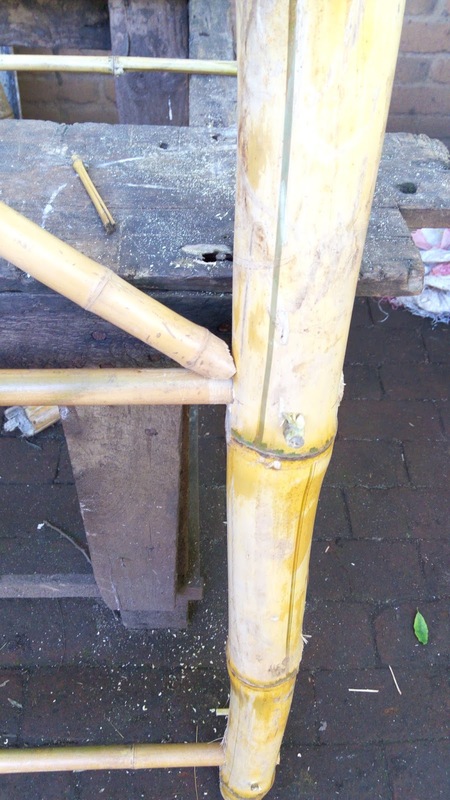 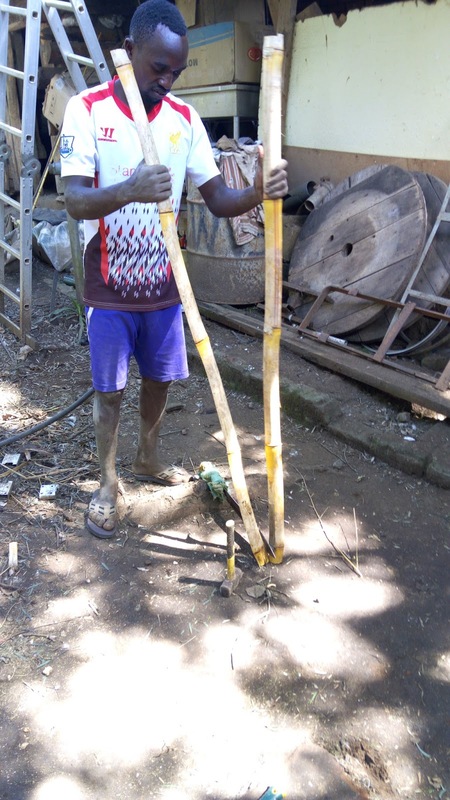 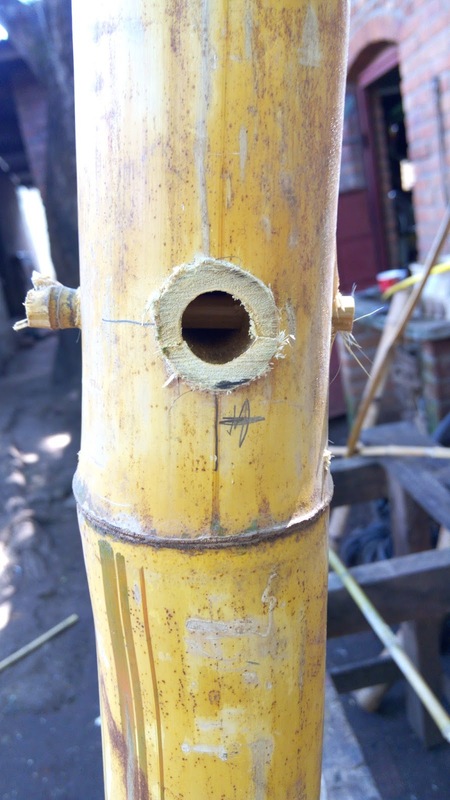 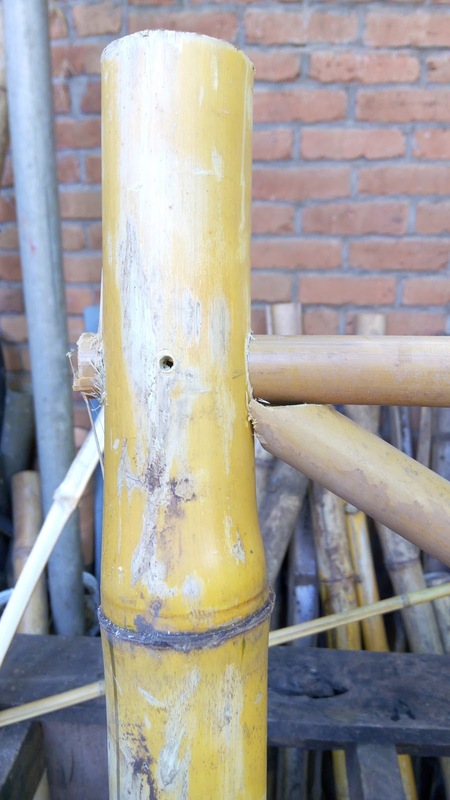 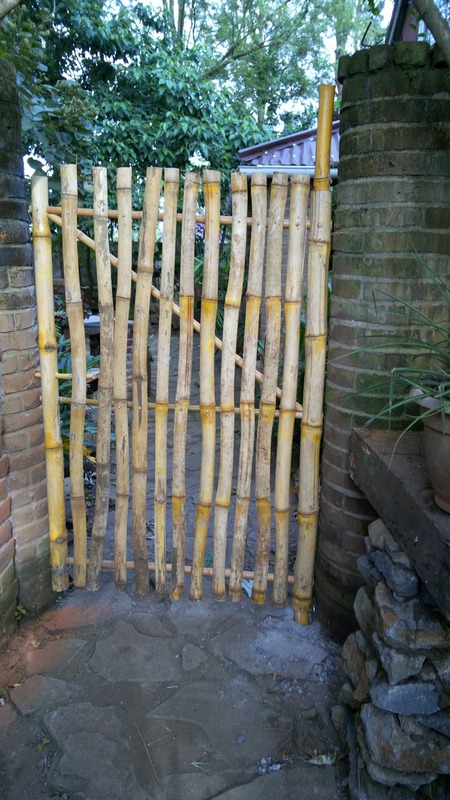 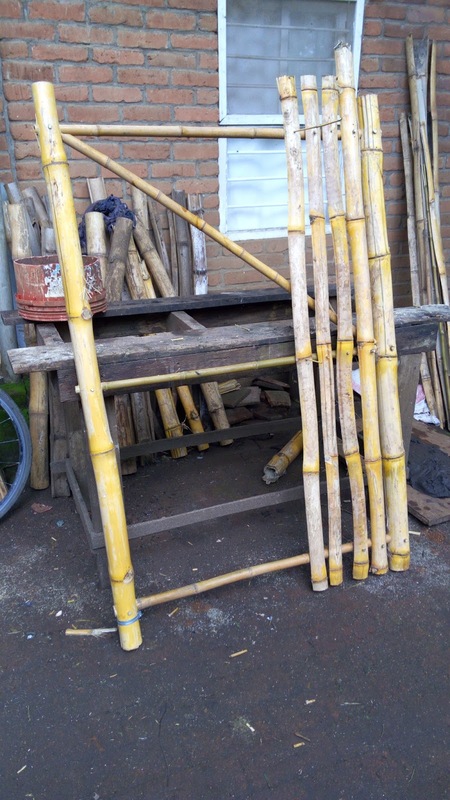 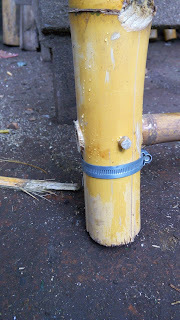 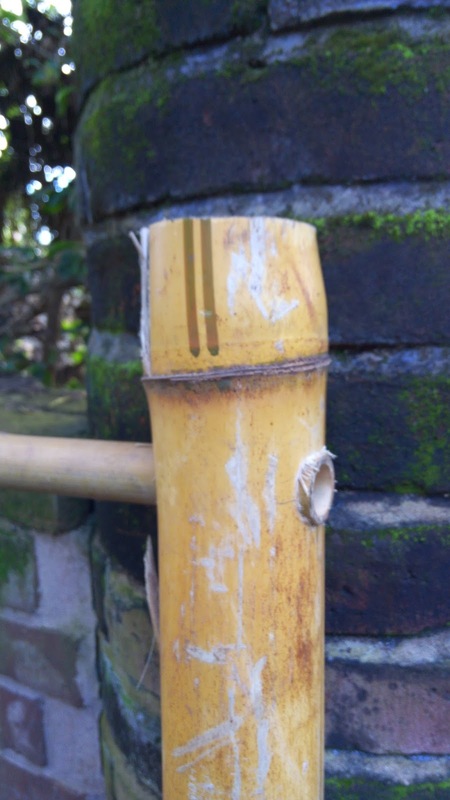 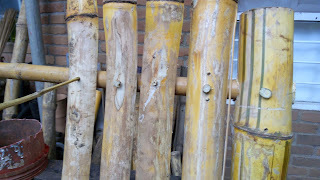 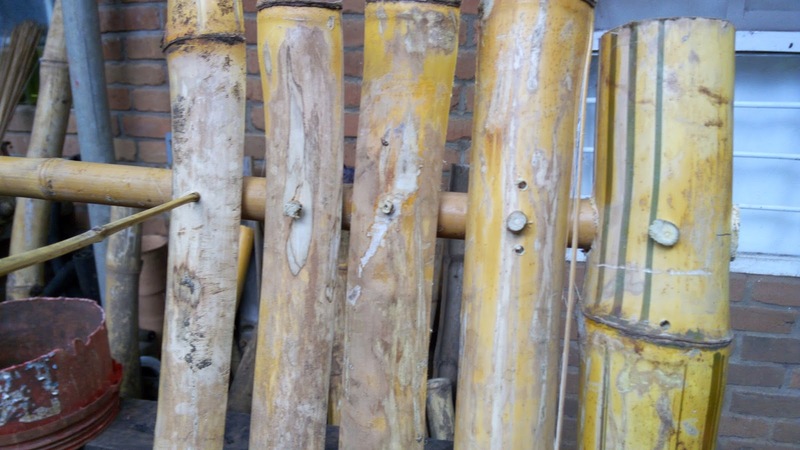 I have used bamboo for curtain rods, replacement of rebar in ring beams, and garden stakes, and decorative stuff. 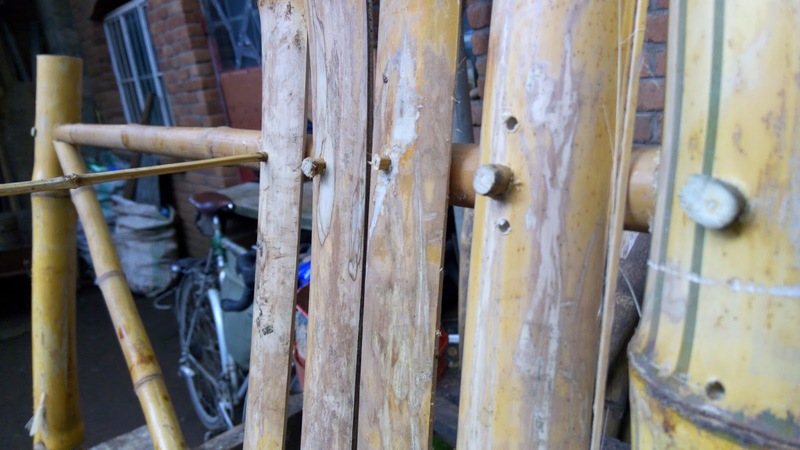 This was my first attempt for something more difficult (but not very difficult). After the putting the first joints i decided to go as much with pure bamboo as possible. 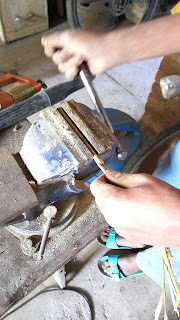 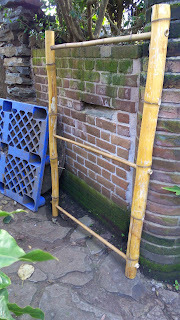 Splitting the bamboo for filling in the frame. the bottom hinge. 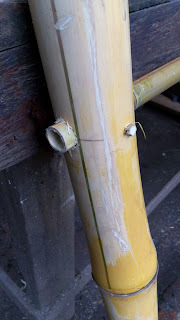 will straighten when i cement it in. 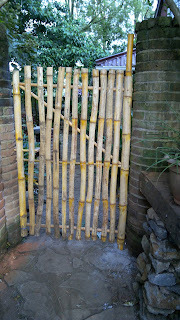 Awesome gate. 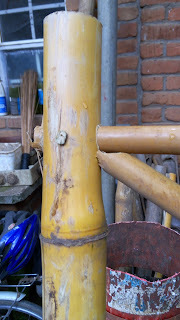 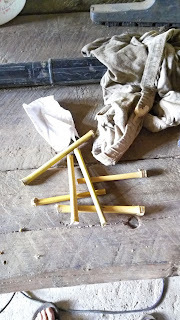 I really like the bamboo joints and the use of bamboo dowels. 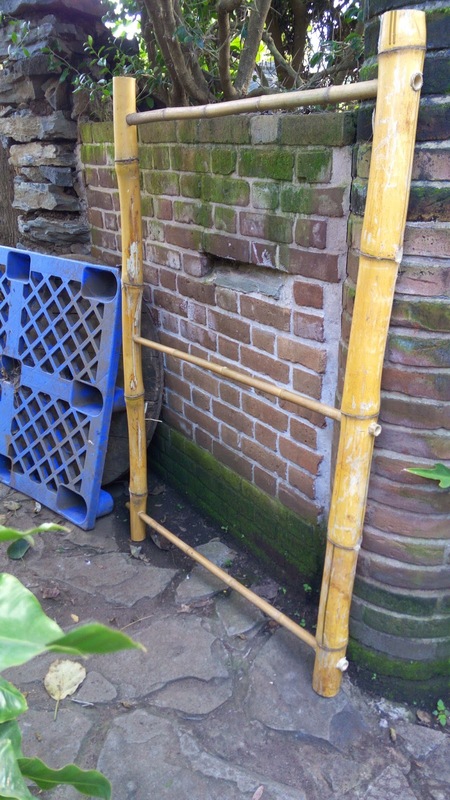 How is the gate holding up? Have you had any further splitting (your hose-clamp idea is awesome). 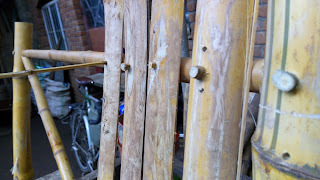 In particular I'm interested in the hinge, does it withstand frequent use.